Mr. Kumuyi, son of the church’s General Superintendent, William Kumuyi, walked the aisle with Love Odih on June 15 in a ‘society’ wedding which attracted widespread condemnation. 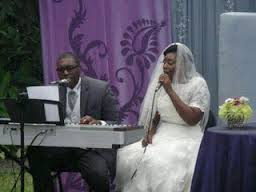 The bride, decked in a flowing white gown – a shift from the traditional Deeper Life wedding dress – looked radiant at the wedding, her face dabbed with a touch of make up, including a lipstick. The church operates a strict regimen on ceremonies which outlaws even video coverage during nuptials. 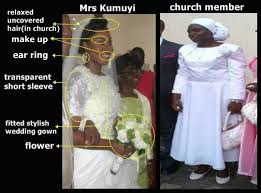 Mr. Kumuyi and his bride were even driven in an ash-coloured limousine, creating a buzz on social media with people wondering whether the church had relaxed its rather conservative rules or their leader’s son had become exempt to them. The groom, realizing the embarrassment he had caused the church, apologized “profusely” during the mid-year celebration programme at the Lagos-Ibadan expressway last Saturday. “We unreservedly and wholeheartedly stated that we did not intend and do not intend that our act or omissions in any way undermine the great work that God has done through the Deeper Christian Life Ministry through our father, the General Superintendent,” read the letter of apology addressed to the church and read out to the entire congregation. The Senior Kumuyi and some leaders of the church attended the wedding. “The church, Deeper Life, remains committed to the biblical practice and standard of almost 40 years Christian dressing and still remains and does not compromise on biblical Christian dressing,” said Philip Oluwi, who spoke on the church’s behalf. “Hence, deviation warrants the displeasure and frown of God and the leadership of the church,” he added. The couple’s letter of apology was re-read several times at the 50,000 capacity church auditorium, sending a strong message of intolerance to disobedience to the members. “We have now realized the far reaching effect of our actions and omissions and do plead with the church for forgiveness and also appeal that any action that should be taken be directed at John and Love, as we take this time to prayerfully reflect on our actions,” the couple’s apology read.